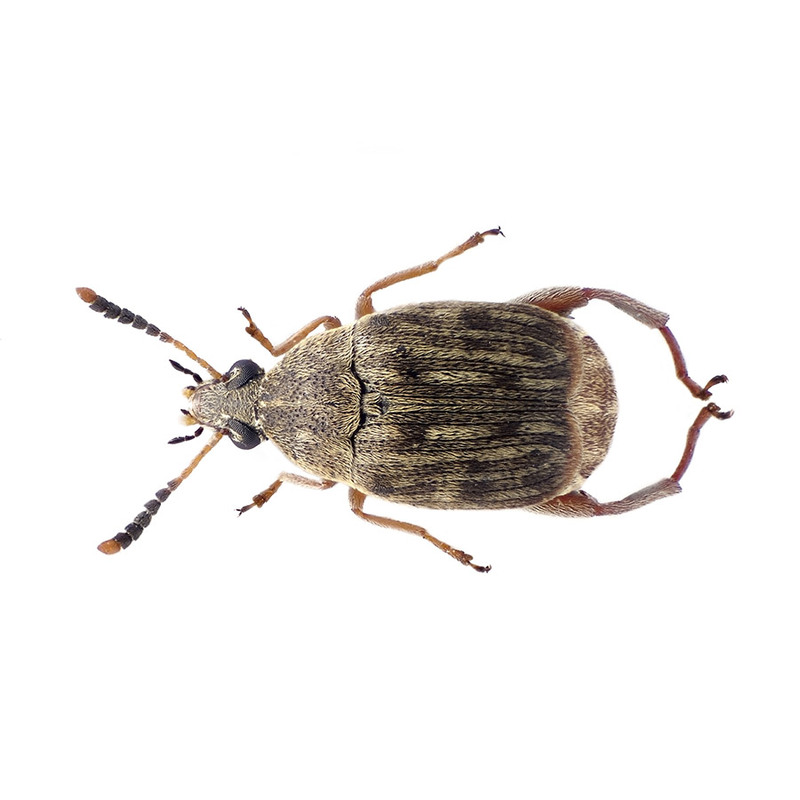 Live Bean Weevil culture | Livefood UK Ltd.
Bean Weevils are a VERY SMALL beetle that feeds on dried beans, as well as other dried peas and pulses. The larvae feed inside the bean, eating away at the inside until it is ready to pupate. It then makes a small chamber to pupate and emerges from the bean as an adult beetle. Even as adults these weevils are very small at only a few millimetres long and are used as a food for any species that likes very small food items, much in the same way as fruit fly. They are ideal for very small lizards, amphibians and invertebrates such a spiders or baby preying mantids. They do not possess biting mouthparts and are completely non aggressive. Bean Weevils are supplied as a culture containing adult beetles, along with beans containing feeding larvae. They should be stored at 20-25C in the containers they arrive in and will produce weevils for several weeks, if not months. Eventually the larvae will have eaten all of the beans and no new beetles will emerge.